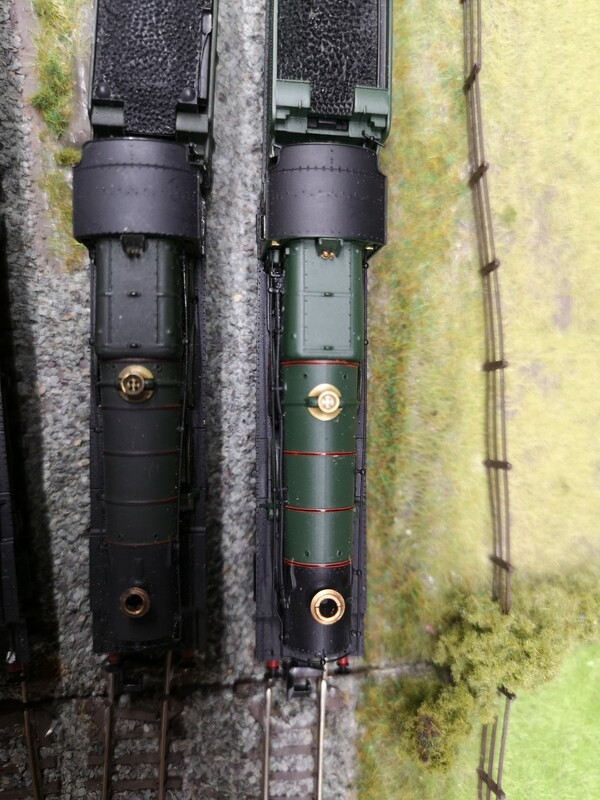 GWR Hall Loco - Farish vs Dapol, which one is better? 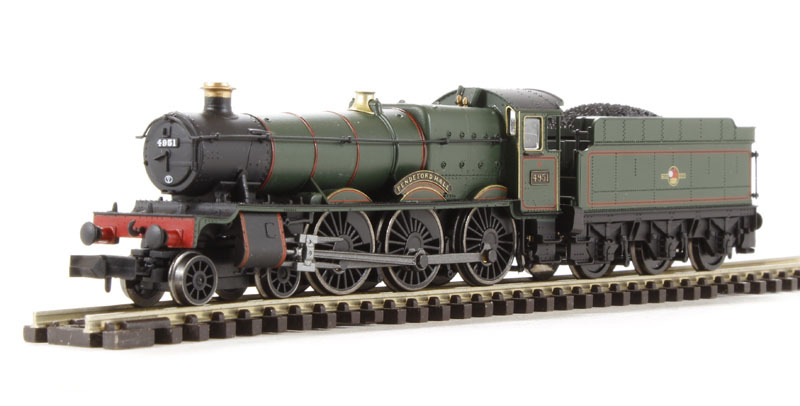 My second choice was to buy some GWR locos from Union Mills (which would be my first from this manufacturer). I have emailed Colin (who is a very friendly and helpful guy!) and he says the GWR stuff will be likely to be available around mid-2019! So saving some pennies for them. In the meantime, I have some pennies to spend now and I am thinking of getting a Hall class loco. My question is which Hall class loco is better, Farish vs Dapol's offerings??? I did a search of the forum but didn't find any comparison info so I thought I would start my own thread! Re: GWR Hall Loco - Farish vs Dapol, which one is better? The Dapol Hall is much newer than the Farish version and far superior visually. Quite simple really. 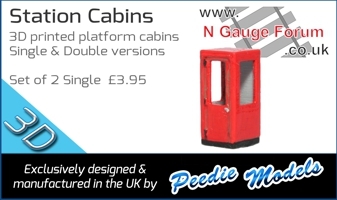 If you want one that actually looks like a Hall then get a Dapol one. If only Dapol has managed to put the correct boiler on it, not one off a Manor. I wonder if this is just a Dapol bashing urban myth. Here is a photo of my Manor and Hall next to each other. To my untrained eye they ain't the same boiler. My Hall is awaiting a little bit of weathering . I believe that, more than anything else helps to make a model more realistic. While the Dapol hall is the superior looking model, it does not perform as well as it looks. My GF Hall has been serviced by BR Lines and now runs well. Ok, so maybe it isn't a Manor boiler, but it certainly looks very under nourished at the smokebox. I think this is another Dapol bashing myth. I have 2 28xx as well as a Hall, Grange and Manor and all run very well indeed. Yes you have to be careful how you handle them and the wires connecting loco to tender need resoldering from time to time but they are all good smooth runners. I don't have the equipment to measure things sufficiently accurately but it's interesting to note that the Hall boiler diameter is three inches bigger than a Manor - that's about half a millimetre in N gauge. I can't see a difference between the two but I probably shouldn't be able to see that level of difference. Maybe it should be bigger but it looks ok to me whereas the Farish one can't be seen as anything better than a rather crude model. Ok for its era but left way behind now. If old Farish was all there was I wouldn't be modelling in N gauge, in fact I didn't until Dapol came along and shuck things up. Although I model transition era set loosely in Oxfordshire, strangely I've never got round to buying a Hall but, if I did, I would certainly get the Dapol one, even though I know it will whine something awful. Before I get accused of Dapol bashing I have 27 of their locos and only one does not whine noisily. Well, one looks like a Hall and the other is lump of Mazac. The Farish Hall was never one of their better models and if memory serves dates back to almost the beginning of the Farish N Gauge range in the 70s. I cannot comment on how well the Dapol Hall runs but like with most locos there are "goodens" and "badens". What radius curves do you have? The Dapol Hall does not like tight curves. Before I get accused of Dapol bashing I have 27 of their locos and only one does not whine noisily. I'd be interested to know which one that is please. I thought that Dapol were considering a loco motor drive system to replace the tender motor, but I've heard no more about it for quite some time. Until then I will not buy any WR tender locos despite Dapol's attention to detail. I thought that Dapol were considering a loco drive system to replace the tender drive, but I've heard no more about it for quite some time. Yes, thanks - I've edited the post. Page created in 0.191 seconds with 45 queries.